Do you love to ride? A lover of the art of equestrianism. Then you should be wearing this shirt! 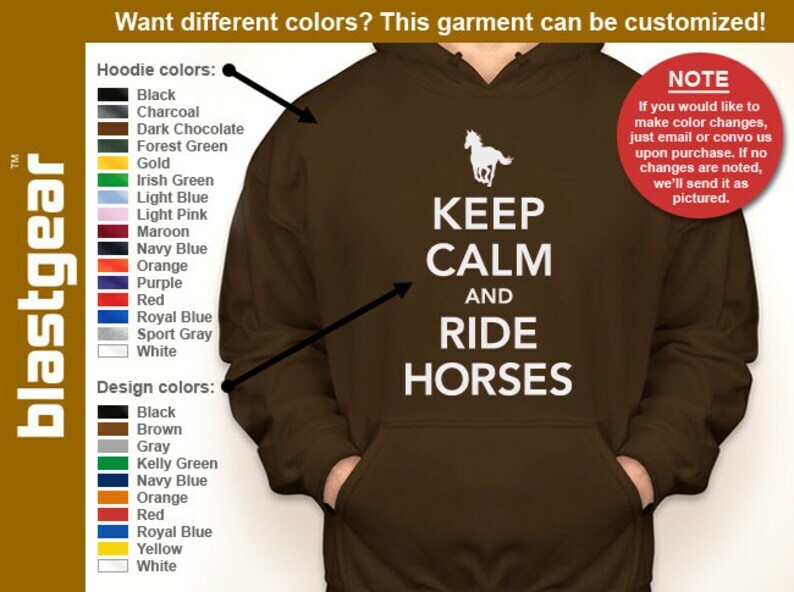 ► This sweatshirt can be customized! Change the color, the design color, or both! S = 26" x 20"
M = 27" x 22"
L = 28" x 24"
XL = 29" x 26"
2XL = 30" x 28"
3XL = 31" x 30"
4XL = 32" x 32"
5XL = 33" x 34"
S = 18" x 15"
M = 21" x 17"
L = 24" x 19"
XL = 25.5" x 20"